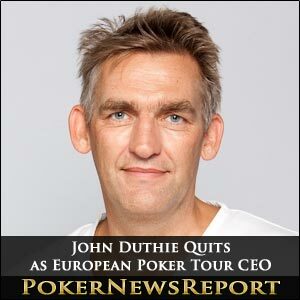 London-based poker pro John Duthie has officially announced his resignation as the European Poker Tour (EPT) chief executive officer on TwoPlusTwo. The 53-year-old – who just the other day decided against extending his contract with PokerStars, world’s biggest online poker room, when it reached a conclusion on December 31 – set up the EPT back in 2004 and is credited with propelling the tour to become Europe’s wealthiest and most illustrious. John Duthie leaves his position with the EPT having grown beyond what many could have expected, although he also believes that poker room PokerStars have benefited greatly through their sponsorship of the tour. However, the television producer reckons it is time to move on , adding that he will leave the EPT in the capable hands of the existing management team . It does appear that the tour is in safe hands with Edgar Stuchly – who became president of the EPT last August – now taking control. The Austrian also had four years as Casinos Austria’s head of poker before joining the EPT. 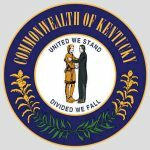 During that time, the former Poker Staff Person of the Year was in charge of poker rooms at a dozen casinos, while also founding the Casinos Austria Poker Tour (CAPT). Duthie remains hopeful of continued growth for the EPT with Stuchly in charge, and also wished him the best of luck in his position as head of the largest poker tour in the world . Duthie, though, has quit as CEO believing that the EPT has grown phenomenally during his time in charge, while also stating that it has been a fascinating and challenging seven years . Famous for his work in British television when producing such hits as Heartbeat and Casualty, Duthie also emphasised that the tour’s success is thanks to the support of the players and the professionalism of a great team on the ground . The Leeds-born player is certainly not quitting the EPT because of any perceived negativity towards the tour or a fear for the future of online poker, following the events of Black Friday. As the majority of you will already know, the US Department of Justice (DoJ) shut down numerous US poker sites, including PokerStars, Full Tilt Poker and Absolute Poker, on April 15 of last year – leaving many poker commentators to question the game’s online future. However, Duthie is already looking towards a bright future for the world’s greatest game, saying that he believes there are going to be some amazing opportunities coming up in 2012 and 2013 as the US market prepares to open up for business once again . With that in mind, Duthie – who has pocketed approximately $2.7 million earnings during his playing career – says he aims to be available to take on new challenges and to cement new relationships moving forward . Could he be eyeing up a move to one of the major US tours? Or has he already been headhunted? It could be an interesting few months for Duthie – and we will certainly keep you up to date on any moves relating to him. He would undoubtedly be a fine addition to any tour organisers with his vast experience in bringing the EPT to the forefront of the world’s poker tours. Duthie, in collaboration with PokerStars, took the tour to its current high – through hard work, intelligence and no little charm – as the most recent season, eight, takes in 12 legs in 10 countries. The next stop is in The Bahamas for the PokerStars Caribbean Adventure (PCA) 2012, which kicks off at the Atlantis Resort and Casino on Paradise Island today with Day 1 of the $98,500+$1,500 buy-in No-Limit Hold’em Super High Roller (eight max) Re-Entry event. 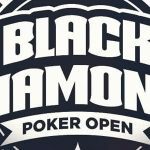 There will be a massive turnout again following on from a record-setting field in Prague back in early December, so expect new targets to be hit with six main events still to be played during season eight. But Duthie also reckons the success of PokerStars can be directly related to the backing provided by the poker room as the EPT rose to prominence. 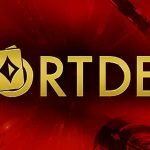 He said that PokerStars have been an interesting partner from the outset and have always proved challenging and dynamic , while adding that the dominant poker website has achieved this level of success in Europe in many ways thanks to the success of the European Poker Tour and the resultant massive exposure on European TV channels . Duthie also stressed that the secondary International Tours that have been established by the EPT have also given PokerStars a strong foothold in many other markets . Don’t forget that you can qualify for this season’s EPT events by taking a visit to PokerStars, where players can benefit from a 100% initial deposit bonus of as much as $600. 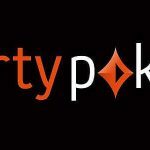 Check out our PokerStars review here.